The World Congress 2014 of International Union of Forest Research Organization (IUFRO) was held in Salt Lake City, Utah. International Wood Culture Society (IWCS) joined the conference, and brought all participants different ways of viewing the wood culture. Burning Man began as a bonfire ritual on the summer solstice in 1986 when Larry Harvey and a group of friends burned a 9-foot wooden effigy on Baker Beach. This act marked the beginnings of the annual Burning Man festival. This film documented the Man’s build in 2016 burn. It is a design inspired by Da Vincci’s Vitruvian Man in order to reflect the theme: Renaissance. While many participants were curious about why the Man didn’t turn as it was designed to be, this video provides the insight into the building process of the centerpiece on playa and the essence of the event itself. This film delves into what Oscar Wilde once said using a cultural approach, "It seems to me that we all look at Nature too much, and live with her too little." This statement is especially relevant in today's context when the world is bracing itself to enter into an more advanced era. Through different perspectives from the founders, artists and burners, we hope to inspire the audience to connect more with nature and have a humble attitude towards the vast spectrum of divine powers and energies. The Locos dancers of San Isidro is a traditional festivity celebrated in Lagunillas, Venezuela. The awarded toymaker Mario Calderón decides to stimulate the child's imagination in his town by working with wood. His idea is to maintain culture through time from generation to generation. 2016 World Wood Day Folk Art Workshop presented diverse forms of wooden folk art from 10 countries and 6 Nepali ethnic groups. Through a series of exhibition, demonstration and workshops, it offered an opportunity for participants to reflect on attitudes towards traditional woodcrafts. Even though some of them are vanishing due to modern development, wood still plays a prominent role in connecting people with nature and culture. On 25 April 2015, with a magnitude 7.8 Earthquake hit Nepal and major aftershock on 12 may 2015, Nepal was in disaster. The earthquake caused a massive damage to people and heritage sites including Changu Narayan area where the oldest temple in Nepal is located. This video showcases the spirit behind the renovation of the Changu Narayan, and full size replica of the Shiva temple on the 2016 World Wood Day event. The XIV World Forestry Congress, themed “Forests and People: Investing in a Sustainable Future,” was grandly held in Durban, South Africa from 7 to 11 September 2015. Gathering the world forestry’s sectors every six years, it serves as an important platform for experts and stakeholders to discuss related key issues and explore ways to sustainability. International Wood Culture Society (IWCS) and World Wood Day Foundation (WWDF) also took part in the exhibition and discussions to promote wood culture, a way to remind people that forest is our roots. The diversity of culture and diversity of ecological system are interconnected. We all grow and bind together and therefore, efforts by individuals and groups, big or small, are significant in building our sustainable future. Renowned sculptor David Best, who has designed and built nine Burning Man temples at Black Rock Desert and various temples in other countries, and his crew, made of volunteers from the United States of America, were invited to create a community stupa in honor of the people of Nepal who suffered greatly from the 2015 earthquakes. The construction site located in Bungamati, a well-known traditional woodcarving village that has had more than 70% of its buildings damaged in the earthquakes. The Temple Crew cut and drilled rough-hewn logs and planks into manageable blocks that were strung on iron rebar and fashioned into the shape of a classic Nepali stupa. This stupa is composed of thousands of pieces of wood representing earthquake victims. Along with bringing international attention to the ongoing wood carving tradition of Bungamati, this project also helped to rejuvenate the community by interacting with local people and artists. The stupa is currently displayed at the Nepal Academy and will eventually be moved back to Bungamati. The 2016 Collaborative Project kept exploring the possibilities among traditionally-different practices through teamwork as 20 collaborators came together to create wooden sculptural works in Bhaktapur. Together with interactive playground equipment that created a safe wood environment for school children, an installation consisting of 282 carved bricks by 130 artists rose to bring hope of renewal to the community. It was an inclusive venture between creative minds and the community where skills were shared, artistic thinking was challenged, and authentic partnerships were forged through a process of collective ownership, fellowship and mutual respect. This cross-border platform encourages communal interactions while offering younger generation new experiences to discover the art in wood that is both educational and entertaining. Woodturning is more than crafting; making things out of wood on a lathe can be experienced as relaxing, soothing, satisfying, and even therapeutic. A diversified learning platform, the AAW International Symposium is dedicated to all enthusiasts with world-class demonstrations and the largest showcase of turned-wood objects. Many are inspired and developed a keen interest in woodturing and others may even find a light of hope through the creative process. It is the positive attitude towards life that makes a difference. Burning Man is a weeklong festival, a mega art event with many levels of presentation to provide a platform to artists to build a variety of wooden installations and structures in a metropolis in Nevada’s Black Rock Desert. This documentary film is specifically aiming on an aspect that would inspire the caring relationship between man and nature, and as well as emphasizing on the meaningfulness of men’s encounters with wood. In this 5 miles sq. of flat alkaline playa, wood does not only serve as the main material for art pieces, but also represents as a carrier that absorbs people’s emotions, cultures, and hopes. The festival reached to its climax when the fifty-foot-tall giant wooden man falls, at that very moment wood has been burnt to ashes and blown away with wind along with people’s message spreading out to those who may or may not have experienced with wood or woodworking that a green and brighter future is ours to choose. 2015 World Wood Day-Wood Culture Festival was held in Şişli, Istanbul, Turkey. This event comprising wood music, folk art, and other interactive activities offers a great opportunity for the public to approach wood culture. Lin Yao was born in 1987 in Wenzhou, Zhejiang, and started to learn Pipa (Chinese lute) at 6 year old. She is the chief Pipa player in Wenzhou Folk Music Group and a music teacher in Wenzhou School for Special Education. Pipa is a short-necked, four-stringed plucked Chinese lute. It is one of the oldest Chinese musical instrument with a history over 2,000 years. Modern pipa appears as a shallow, pear-shaped body with a wooden belly, along with 29 or 31 frets. The four strings run from a fastener on the belly to conical tuning pegs in the sides of the bent-back pegbox. Its name suggests the plucking direction: pi, "to play forward," pa, "to play backward." The strings of Pipa that once made of silk, are now usually replaced with nylon-wrapped steel. Mbeng N’tam” means beauty and prosperity. This troupe consisting of traditional dancers aims to preserve the rituals and traditions of Gabon. In order to communicate this message of balance among the human being, the invisible world of ancestors and the nature, they have established an association, KOOL D’AYELE, which lends an outlook to the ancestral traditions through their dances. They have started spreading the Gabonese culture worldwide since 1998. Enrique Males performs ancestral music, expressing harmony that enriches the spirit and fertilize the country. Through ancient sounds, spiritual songs and dances, such as warrior movements and tender moves that represent fertility, their performances express the spiritual strength of the motherland - Pacha Mama. Patricia Gutierrez represents the woman land of Latin America. The creative work of Enrique and Patricia is authentic and meaningful. Through their artistic production, people get closer to their own spirit and heart, and further to reflect on themselves and strengthen their identity. Canadian born multi-instrumentalist, based in Berlin since 2001. Active in the experimental and "echtzeit" music scenes, focusing primarily on low-frequeny minimalism. Member of the plant-based sound research collective Plants and Empire. John Butler has been playing the uilleann pipes since the age of 16 when he heard them for the first time on the radio and was immediately captivated by their sound. In 2010, Butler decided to set up his own uilleann pipemaking workshop, called “Ceol Pipes”, on Achill Island off the west coast of Ireland. Barnaby Walters builds and plays the Hurdy Gurdy, a European instrument of ancient origin. The gurdy works like a mechanical violin, with the strings being constantly bowed by a wheel, and shortened in length by a keyboard. Barnaby mainly plays traditional European dance music, as well as modern compositions in a similar style, and a variety of early music. Created in 2010, the Ecole de Musique de Kirina Band is composed of 6 professional musicians who are teaching traditional instruments at the music school in kirina. They are all from famous families of musicians. Among them, Kora teacher Ladji Diabate, is brother of Toumani Diabate, the world best Kora player who has won Grammy Award. Other members include troupe director Mahamadou Diabate, Balafon teacher Karounga Diabate, Djembe performer Seydou Kone, dancer teacher Oumou Mariko, and also dundun teacher Karim Diabate. Ustad Amjad Khan & Group is a group of four members playing four different but melodious instruments together. The group performs sarangi the bowing instrument, flute the wind instrument, mandolin the string instrument and tabla the rhythm, and has a rare blend of all the traditional Indian music that can perfectly join every genre. Tony Brazelton is the founder of North American Alphorn Retreat, and Salzburger Echo. Salzburger Echo, which brings the Alps to their audiences, playing old world and contemporary folk music from the alpine regions of Germany, Austria, and Switzerland. The band regularly plays some of the largest Oktoberfests in the nation as well as having performed at hundreds of elementary schools across the nation to help teach children about the origin of the music and about the music itself. Tony was the third place finisher at the 2008 international alphorn competition in Nendaz, Switzerland. Mongolian Girl’s Hoomii Troupe was founded in 2013 and composed of five Mongolian girls: Narengaowa, Chana, Chaolemenggerile, Tunala and Suerge. They specialize in Mongolian’s primitive and ethno music, especially hoomii (a type of throat singing, also known as Khoomei), long tone and traditional musical instruments like morin khuur and tobshuur. The troupe has been taking part in various domestic and international music events since it's founded. Siqinbilige, who performs along with the troupe, is a renowned Mongolian singer who has won several awards of ethno singing competitions. The video was shown during the XIV World Forestry Congress 2015 in Durban, South Africa in response to its theme, “Forests and People: Investing in a Sustainable Future.” International Wood Culture Society (IWCS) explores and approaches the value and usage of wood from a cultural perspective to emphasize the significance of wood in relation to the human life. With the 15,000 members worldwide, American Association of Woodturners (AAW) was founded in 1986 in the United States as the largest international wood lathe education system. In June 2013, IWCS crews came to Tampa to participate their annual event. The program of this exhibition was quite diversified. It was held in an aim of education instead of commercial purposes. In over 100 classrooms at the venue, wood turners from around the world were invited to share their experience. We also saw many blind and wheelchair wood turners sharing their experiences of woodturning heartily. One of major features of AAW is that regardless of gender, age as well as innate inabilities, everyone has the chance to be an excellent wood turner. Their energy and spirit touch the heart of men from the eastern culture, which usually let people reserve the skill only for their own. In AAW, no men is selfish, everyone brings out their best. We were not only impressed by their astonishing artworks but deeply moved by the ambiance of all for one, one for all. The concert held in Kulturhof- Schloss Könizon on March 22nd offered a great experience for local people to enjoy the beauty of wood music and to learn more about the cultural background of each instrument. The rich programs were brought forth by Alphorn group Stock Horner, Dulcimer Nayan, Quintet Quair, Zapjevala, and Alphorn Experience. More information on World Wood Day. The event was aimed to help those Syrian children staying in refugee camps in Lebanon to receive much-needed education. A wooden classroom was built in seven days at the Tall Abbas Al Gharbi Refugee Camp, situated at the border of Lebanon and Syria, as part of the World Wood Day regional event. Volunteers gave classes on the importance of wood and assisted the children in making classroom equipment, such as desks, chairs, a board, baskets, etc. A tree planting activity was also arranged to spread the message of sustainable development. All the volunteers who participated in the project were deeply moved and touched by what the classroom could do and mean to the children. 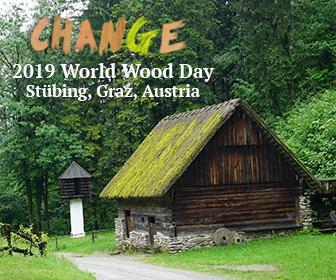 More information on World Wood Day. Through the lens of wooden toys, the appreciation for wood is more than just entertainment. From children to adults, wood is easily accessible via a variety of channels in Japan, such as the Tokyo Toy Museum, where provides a valuable learning environment to stay, play and study with wood. The Mokuiku Summit 2014 has best represented the success of the Mokuiku (Wood education) project, involving a broad range of groups and individuals, both users and lovers of wood. The American Association of Woodturners has brought another informative, energy-filled fest to the woodturning community at its 28th annual symposium in Phoenix. The event offered a variety of techniques to acquire and a series of art show to appreciate while lighting up the lives of those in need with special programs. The woodturning artists authentically embodied the spirit of sharing and bonding that can be hard to come by in the era where website social networking preoccupies people’s time. World Crafts Council celebrated its 50th anniversary in Dongyang, China in October of 2014. 38 international woodcarvers were invited to participate in the International Woodcarving Competition eight days prior to the Opening Ceremony. They were here to interpret the theme of "Respecting the Past, Carving the Future." By sharing a common language of wood and mutual respect with each other; the competition creates a harmonious collaboration among the participants. All the art pieces would be displayed as a centerpiece at the golden jubilee celebration. The celebration of indigenous cultures is lively in the northeastern part of Australia that a large number of worldwide visitors come here to join and experience. Compared to the other areas in Australia, Cairns has a higher population of the indigenous people. In here, you can find handmade traditional wooden tools like boomerangs, spears, and more. The Cairns Indigenous Art Festival (CIAF) is one of the most renowned annual celebrations of the Aboriginal and Torres Strait Islander cultures’ visual and performing arts since 2009, and offers an opportunity for indigenous artists to showcase and sell their artworks. Undara Volcanic National Park is located in the north Queensland, and is famous for the remains of lava tubes formed around 190,000 years ago. The volcano erupted and expelled great amount of lava around the area, and thus geologically and ecologically affected the environment. In order to better balance the ecology here, indigenous people used fire to manage the forest and the fire management is still applied as the most effective way nowadays. Tallaroo, located west of Undara, is known for the permanent hot springs that is considered as a sacred place for healing purposes by the tribal people. Finger spinning tops are not merely toys but can be a token of love. A total of 150 tops traveled far and landed on the hands of the students of Wenzhou School for Special Education. It was a kind gesture by Australian woodturner Erine Newman, who was invited over to lead a two-week woodturning training course for the collaborative project of IWCS-AAW beginning September 15, 2014. A fifth generation wood worker, Newman is active at woodturning events worldwide. Wholeheartedly involving himself in the project, Mr. Newman exerted special efforts in intriguing students’ curiosity about wood as well as instilled them with safe operation guide beyond demonstrating the skill of woodturning. More information World Wood Day. IWCS had the opportunity to attend the American Association of Woodturners (AAW) 26th International Symposium on 8-10 June 2012 at the San Jose Convention & Cultural Facilities. It was 3 days of interesting demonstrations and exhibits that showcased the art and craft of woodturning. Turners and collectors from around the world attended. It was great meeting fellow wood enthusiasts dedicated to the art and craft of woodturning. The American Association of Woodturners (AAW) is an international, nonprofit organization dedicated to the advancement of woodturning. With a nice outcome from AAW's San Jose meeting, IWCS was honored to have Terry Martin as a guest speaker representing AAW to symposium at ZHEJIANG Agriculture and Forestry University in China in September 2012. To spread the idea of Turners Without Borders, Terry showed a different aspect of woodturning and knowledge to local wonders through an excellent demonstration. The tactile experience in the 2013 AAW Symposium is an enjoyable program designed especially for the visually impaired participants. The video presented shows the participants turning pens with instructors’ assistance and experiencing fun and joy of woodturning. Through this video, the viewers will have very different understanding of the art of this woodcraft technique. The 2nd National Vocational & College Student Carpentry Skills Competition, hosted by the International Wood Culture Society (IWCS), was held in Changsha on Oct. 27, 2013. It was co-organized by the Central South University of Forestry Science and Technology. Concurrently with the 2013 International Wood Culture Symposium on Taxodiaceae, a competition was held on making wooden stools using Chinese fir. The aim of the activity was to promote the culture of traditional Chinese woodwork, to display and improve vocational & college students' hand carpentry skills, and inspire creativity and passion for carpentry among students. Applications for the competition opened in July this year, the competition theme was confirmed in September, and design drawings were submitted a week before the competition. Sixteen students from four vocational schools and eleven universities came together on Oct. 27 to show their talents. During the four-hour competition, the students completed a variety of creative work using saws, chisels, axes, planes, using snap lines, drills, and making mortises. Later during the assessment, every competitor explained to the audience their ideas and purposes, and the functions, features and technical difficulties of their work. The judges were Professor Yang Ping from the faculty of education, Kumamoto University in Japan; Mr. Yang Jinrong , director of the Jiangsu Gongmei Hongmu Culture & Art Institute; and Professor Li Zhen from Tongji University College of Architecture and Urban Planning. They evaluated the works with seven criteria: design and creativity, production skill, the completion of the works, accuracy and quality, structure, material utilization and interpretation. Li Nie from the Xiuning First Senior Vocational School won first place. Wood, being a naturally eco-friendly and renewable resource, is fundamental for sustainable development, and a low-carbon society and environment. How to master the properties of wood, make full use of the material, and combine theory with practice are key elements. Wood education teachers have a long way to go and expectations on students are high. Such carpentry skill competitions should inspire more passion for wood and carpentry among young people and promote the culture of traditional Chinese carpentry to create competent practitioners for the future. Woodcarving Introduced to School Campus The opening ceremony for the 2013 China-ASEAN Live Wood Carving Exposition and Student Woodcarving Art Festival was held at Guangxi University.The exposition was held in the leafy, shaded square behind the Forestry College at Guangxi University. A large audience, mainly teachers and students, visited the on-site wood carving show over the first 2 days. 20 students from the university also joined the carving team for the festival, while learning and communicating with the artists. More than 200 students pursuing majors in wood science and technology took part in this activity. In tandem with the exposition and festival, Mr. Yang Jinrong, expert of Chinese Hongmu art and culture, and Mr. Terry Martin, Australian wood artist, gave the students two very impressive lectures.It was a good opportunity for the students to communicate with professional wood carvers face-to-face, and also to start the process of combining wood science with culture. Wood carving, as an art form, has taken its place on the campus. Different Cultures, One Homeland The 11 sculptors were from different cultural backgrounds and use different carving styles, but all of the works were created under the same theme, Homeland, and they all used the same scented wood, Camphor.The art works of the 4 artists from ASEAN countries reflected their lifestyles and beliefs. They shared the history and culture of South-east Asian countries with us.Malaysian artist Taufik carved the national flower of Malaysia, the Bunga Raya, while Indonesian artist Sutarya Hrfsor carved the Lotus Flower that is common to both Buddhism and Islam. Indonesian artist I Kadek Parta selected the Ramayana story from Indian history. Nature and Home, Full of Humanity and Spirit In the Chinese group, the 7 artists came from Dongyang and Yongjia of Zhejiang province, Xianyou of Fujian province, Lushan of Sichuan province, and Jianchuan of Yunnan province. Their creative works combined modern and traditional skills, reflecting their feelings and dreams about homeland. Both Xu Yongping and Jin Liquan chose the subject of mother to show their ideas about homeland. Zheng Guodi used the Chinese traditional subject Three Sheep keeping watch on the home. Yang Huanpei’s carving was like a poem and depicted his fantasy homeland, Dali. Wang Haibo, from Dongyang, Zhejiang province, was the youngest wood carver. He applied Dongyang relief carving skill and used his lively imagination to present us with a Chinese traditional scroll painting, a whole dreamland picture of Peach Blossom Valley. Wu Xiaomei’s piece was particularly thought-provoking. She showed us a broken house after the earthquake this year in Sichuan, quite a courageous choice. Wang Guohua, from Xianyou, Fujian Province, took just 2 days to finish his work. He generously incorporated the natural bark and growth-rings of the tree in his piece. As he said, “Human beings need generosity and tolerance, and so does nature. Our home should be a tolerant home.” Woodturning Show During the event, Terry Martin, Australian wood artist and a representative of the American Association of Woodturners showed his splendid woodturning technique to the audience in Guangxi University and CAEXPO. His demonstration aroused considerable interest among the crowds. Highlight of Forest and Wood Products Expo After Guangxi University, the 2013 China-ASEAN Live Wood Carving Exposition continued at the International Conference and Exhibition Center on 15-17 November, and was a highlight of the Forest and Wood Products Expo. Mr. Terry Martin, Mr. Feng Wentu, Master of Chinese arts and crafts, and Mr. Yang Jinrong, expert of Hongmu art and culture, were the judges. Zheng Guodi, Yang Huanpei, Sutarya Hrfsor, I Kadek Parta, Taufik and Duangmala Wanlop won prizes for “Outstanding Traditional Value”; Xu Yongping and Jin liqun won prizes for “Special Design”; and Wang Haibo, Wang Guohua and Wu Xiaomei won prizes for “Special Creativity”. The 2013 China-ASEAN Live Wood Carving Exposition was organized by IWCS, and co-organized by the China-ASEAN Expo Secretariat, Forestry College of Guangxi University, and Jiangsu Hongmu Culture and Arts Institute, and Supported by the China National Forest Products Industry Association, IUFRO-Division 5. Concurrently with the wood carving exposition, IWCS also organized the 4th China-ASEAN International Wood Culture Forum. Both activities promoted communication, basic academic research and the practice of wood culture in the China-ASEAN area and contributed to the integration of art and culture into the Forest and Wood Products Expo. The beautiful Venice Gondola made with the skill that represents the refinement of Italian craftsmanship passed down from 16 and 17 century, is a cultural heritage that embodies values and stories of it. The launching ceremony for blessing presented in this video enables viewers to have a better insight of this traditional woodcraft. It is rare to see wood sculpturing competition in Kenya, not to mention in Nanyuki, a town located north of Nairobi, the capital of Kenya. In August 2012, 22 local wood artists assembled to reveal their true talent.